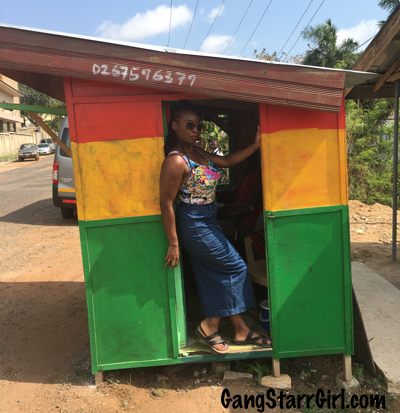 Turning a lotto Kiosk in Accra into a photo op. 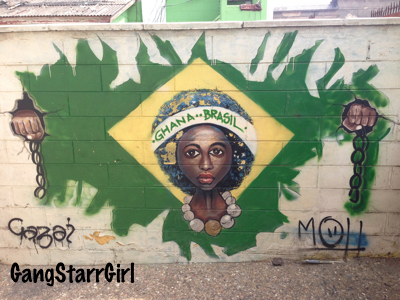 Art is everywhere in Accra, Ghana. After being smacked by the heat when you step off the plane you’ll notice the beautiful Black bodies working to direct travelers and their bags. Their smooth flawless onyx skin will most likely be unlike anything you have seen in the Western world in abundance, anyway, and it will be hard not to stare. 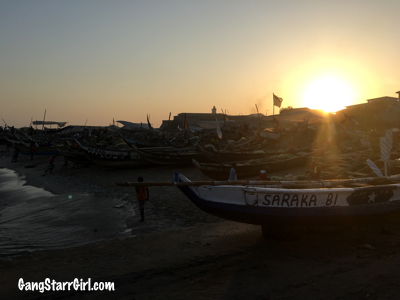 How could something that colonial brain washing conditioned you to believe is ugly be so breathtakingly gorgeous? As you make your way to customs you’ll get a closer look at the beautiful Black bodies and you will be in awe of their high cheekbones, and perfectly symmetrical faces. That is God’s art, and that’s just the beginning. 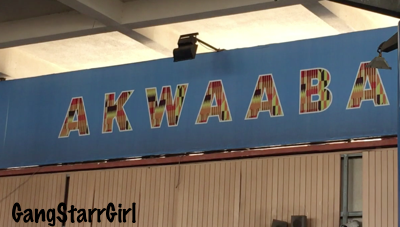 When you exit the airport you’ll notice more colors, from Kente Cloth Akwaaba signs to various prints, from Ankara, to wax, to batik, worn by naturally stylish individuals. They don’t even know they’re stylish. Compliments and will be met with shy smiles. You see, this is a place where custom outfits are in abundance. Everyone either knows how to, or someone who can create divine custom wears from scratch. Fabric is at everyone’s disposal and the design possibilities are literally endless. The women, who are oft adorned in regal headwraps tied in a variety of ways, and the men in matching perfectly tailored suits mill about their respective days, unaware of the astonished tourist’s eye. As you begin your journey into the heart of Accra your senses will be overloaded with frenetic energy and more vibrant colors. You’ll marvel at the way vendors manage to navigate the streets with baskets of everything imaginable on top of their heads without missing a step, prepared to make a sale. The fruit at the markets will entice you, and if you give in, it will be the best fruit you have ever tasted in your life. The fabric stalls are infinite, and you will succumb to the sartorial vortex of tailor made clothing especially after discovering you can easily get something made in a day or two. Even something as simple as walls, trees, and lotto kiosks make it clear that you are in black star nation, and you will be inspired. 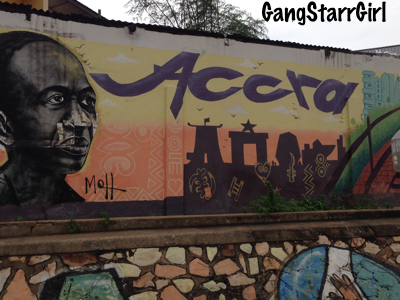 In Accra, art is everywhere, literally and figuratively. 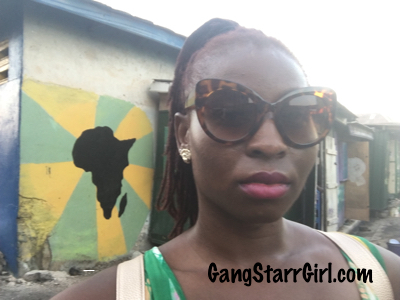 Speaking of literal art, the murals on the walls from East Lagon to Jamestown, home of the Chale Wote Festival, are stunning. 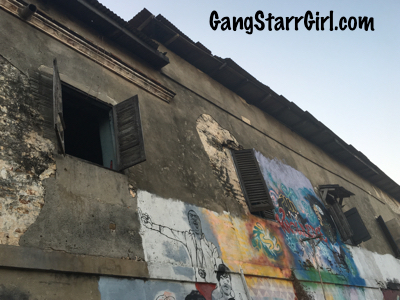 Accra, even without the same architectural magnificence of other major cities around the world, is where art lives. There’s no better way to describe it. You just have to see it…and feel it.